APPRISE is a free health insurance counseling program designed to help older Pennsylvanians with Medicare. Through our APPRISE counseling, Blair Senior Services, Inc. helps local seniors understand their health insurance options and make sound decisions about their coverage. We are actively recruiting dedicated and resourceful volunteers to educate, counsel and assist local Medicare beneficiaries. As an APPRISE volunteer, you will help members of your community understand their Medicare benefits and options, compare Medicare prescription drug plans, and complete applications for government programs that help pay Medicare expenses. Your work will have a real impact, as you help protect the health and finances of your peers. You may set your own schedule, and we will provide you with the training and support you need to be a successful APPRISE volunteer. If you are looking for a truly rewarding volunteer opportunity, or for more information, please call our APPRISE Coordinator at 946-1235 ext. 1016. Domiciliary Care (Dom Care) homes are private residences that house up to three consumers who are unable to live independently due to a physical, visual or mental disability, or an age-related impairment. Blair Senior Services, Inc. is actively recruiting individuals to serve as Dom Care providers. Providers open their home to up to three consumers, and they are responsible for providing meals, laundry and personal care to ensure that all of the consumer’s needs are met. Interested Dom Care provider applicants should have room in their homes and time to provide assistance with daily living activities to individuals who require such assistance. Blair Senior Services, Inc., approves homes after meeting strict fire, safety, and health standards. Providers are paid a monthly stipend for each person residing in their home. For more information about applying to serve as a Dom Care provider, please contact Stephanie Montford, the Domiciliary Care Program Coordinator, at (814) 946-1235. 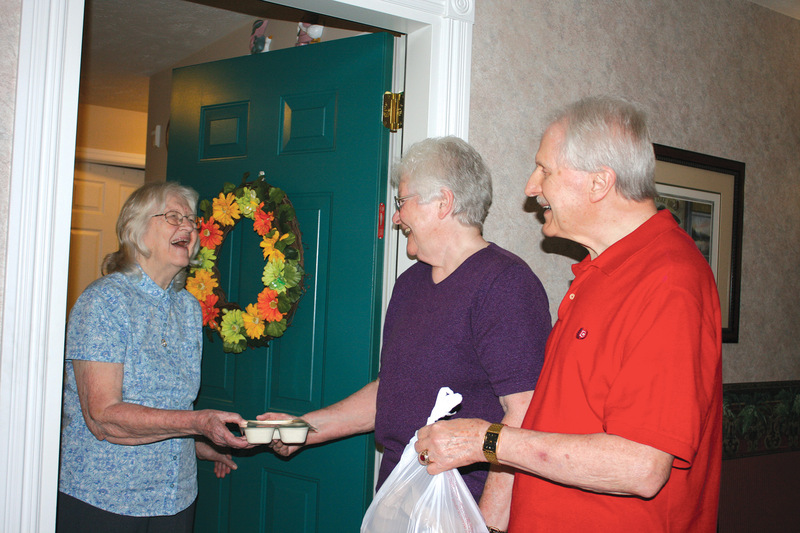 The Agency’s Home Delivered Meals (HDM) program is actively recruiting volunteers to assist with meal deliveries to homebound older adults. Deliveries are made around noon on Mondays, Wednesdays and Fridays. The average volunteer schedule is one day per week for two hours, with approximately 20 stops per route. Volunteers can work with the HDM Coordinator to determine which day is most suitable and whether they would like to drive. Volunteers must have access to a vehicle, pass a background check, and be eager to help others. We will train you and reimburse you for your miles! An Ombudsman volunteer acts as an advocate for individuals in long term care facilities. Ombudsman volunteers are trained to become more than just representatives of individuals in long term care; they are trained to become sources of information, agents of improvement and confidential advocates for consumer rights. To learn more about becoming a volunteer ombudsman, call (814) 296-6336. Blair Senior Services Inc. relies on committed and generous volunteers to help operate our Senior Centers. When volunteers assist with daily operations and programs and welcome new guests, they help foster a comfortable and thriving atmosphere within each Senior Center. If you are looking for an opportunity to meet people, share your skills, and exercise your body, mind and heart, volunteering at a Senior Center is for you. For more information, please contact the Agency’s Community Services Coordinator at 946-1235, ext. 1044. Please click on the following link to be directed to the Senior Centers page. The VITA (Volunteer Income Tax Assistance) Program offers free tax preparation assistance to consumers who meet the eligibility requirements. Many of these consumers are unable to prepare their own returns or cannot afford the expense of a paid preparer. All volunteers receive training in basic tax returns that meet both state and federal filing requirements. Trainings are conducted each November, December, and January. For more information, please call Chelsey Rhodes at 946-1235 ext. 1091. Opportunities at Blair Senior Services, Inc.